There are a number of museum passes available for Merrimack Library cardholders to borrow. Some passes allow for free admission, while other passes admit the cardholder with a reduced admission fee. Please note that there is typically only one pass available for each museum per day. Make your reservations in advance! Reservations: Museum passes can be reserved up to 60 days ahead. 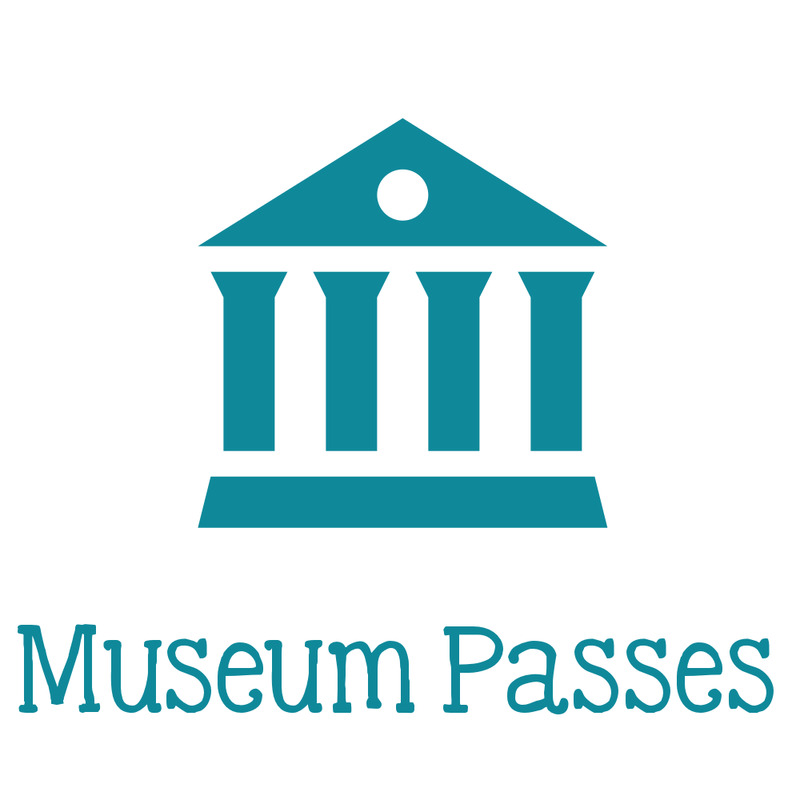 We have recently changed the system we used for museum pass check-out - please feel free to call (603-424-5021 ext. 101 or 102) or email (circulation@merrimacklibrary.org) the library if you have any questions about reserving passes. You can reserve museum passes by phone or online. *Canceling a Reservation* - If you cannot use the pass you have reserved, please visit this link to cancel your reservation or call the library at 603-424-5021 ext. 101 or 102. Special exhibits may or may not be included in the free or discounted pass. While we try to provide the most accurate and updated pricing information, the library is not responsible for changes to admission rates, pass discounts or hours of operation. We urge our patrons to check individual museum websites to get hours, directions and other info. Checking Out Passes: Patrons must visit the library and present their valid library card or ID to check out a Museum Pass. Returning Passes: "Paper" or "ticket" passes do not need to be returned to the library, but laminated "card" passes should be returned to the library by 9am on the day following its use. Fines are $2.50 per day. The fine for lost Museum Passes is $10.00 per item. Number of Passes: Patrons are restricted to 1 active reservation for each museum, with a maximum of 2 per date. This means you may reserve passes for a maximum of 2 different museums, for the same date. School Vacation Weeks: Due to higher demand, during school vacation weeks in December/January, February, and April/May, only 1 museum pass may be booked per week. Please note that passes are often booked in advance for these weeks. Make your plans (and reservations) early!